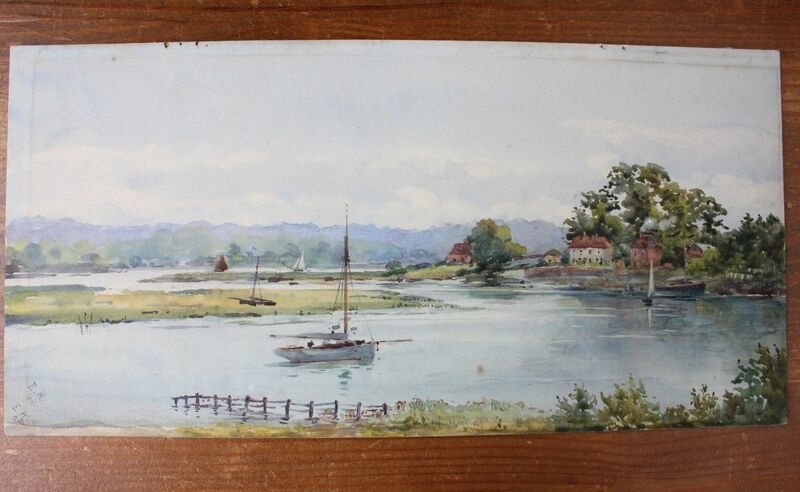 Antique Watercolour Painting of Sail Boats & River Estuary Signed E.H 1908. 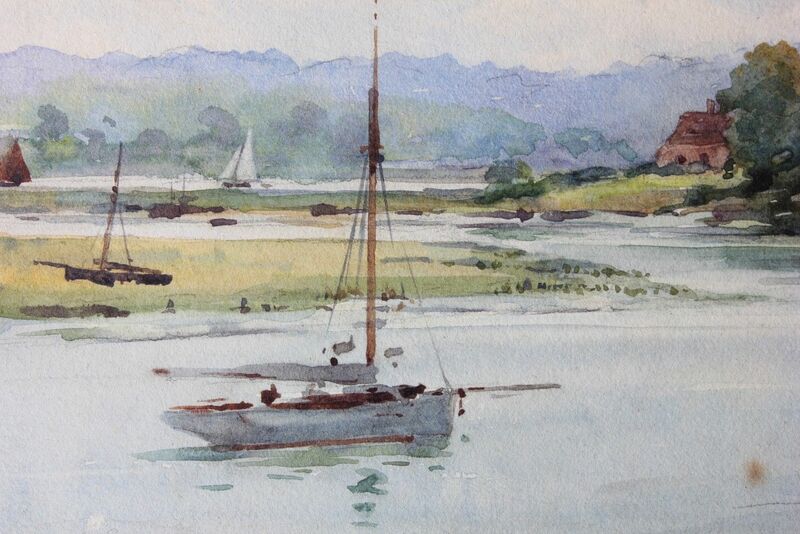 This very nice original watercolour of Sail Boats on a River Estuary is signed E.H. 08. 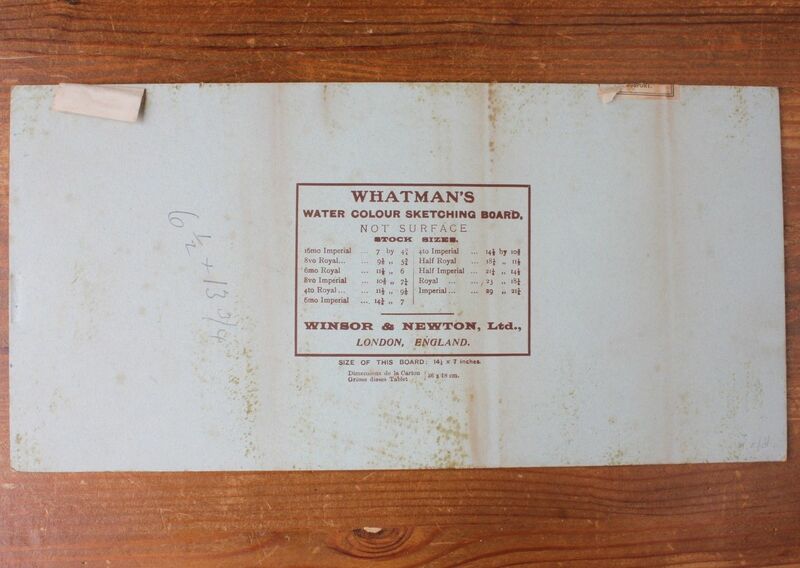 The watercolour is on Whatman's water colour sketching board and the reverse has J.Turner Picture frame manufacturers labels. 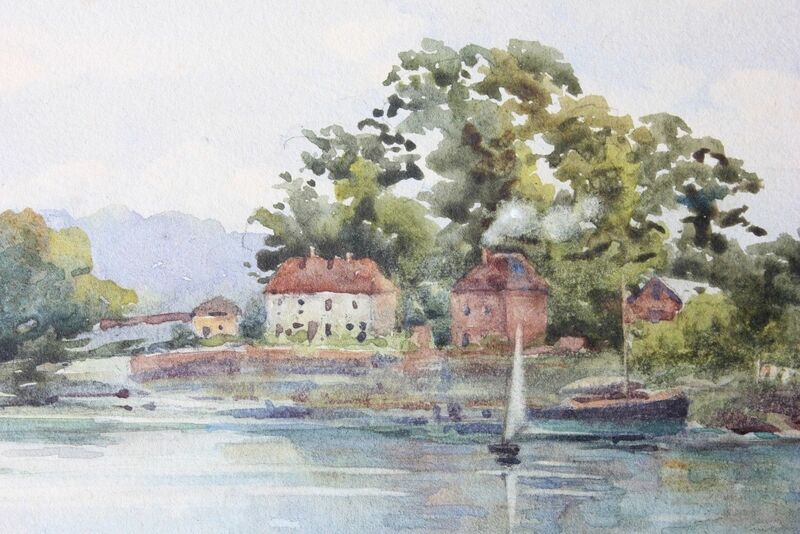 Possibly Beaulieu River Estuary in Hampshire. 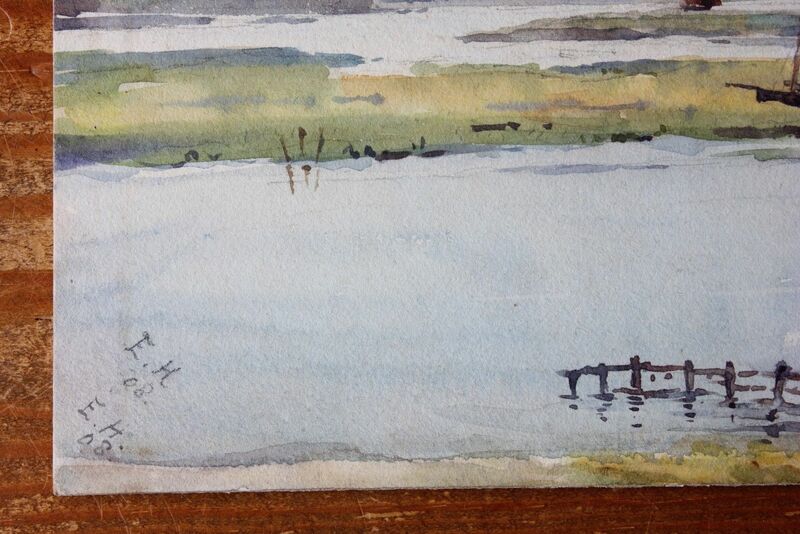 Size: 14" x 7" - 35 cm x 18 cm. 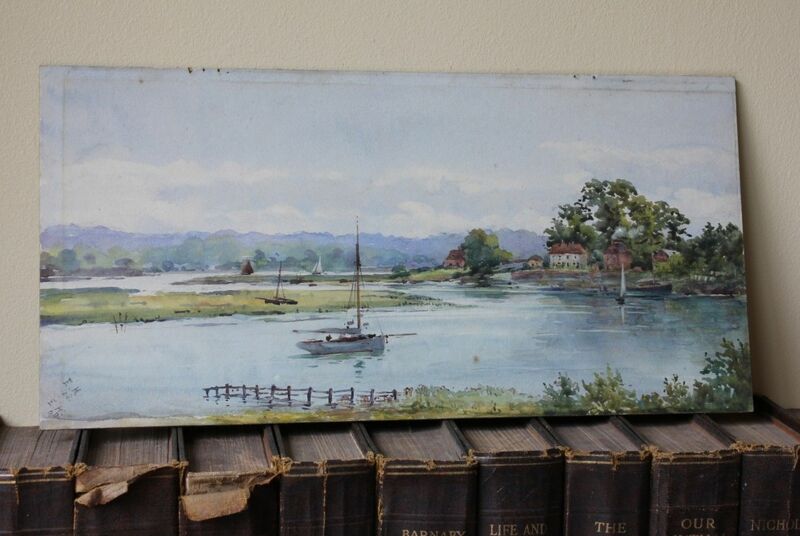 Condition: Good antique condition with some staining / foxing. Some marks where it has been framed. Unframed. Please see pictures.